Marianne is an experienced ABA practitioner based in Leicestershire and has been working in the field of ABA and Autism for over 17 years starting work as an ABA tutor on home based ABA programmes whilst studying Psychology at University. When she left University she went on to work full-time with clients around the Midlands working with a range of Consultants from the USA, Norway and UK. Marianne has worked with clients of all ages and abilities consulting with over 100 children and adults with Autism between the ages of 19 months and 85 years. She took a post - graduate diploma in ABA with developmental disorders in 2004 and sat the BCaBA exam in 2005 and was amongst one of the first to get certified in the UK. Marianne worked as an independent ABA practitioner for 10 years and started the MSc ABA in Bangor in 2008 and sat and passed the BCBA exam in 2010. Though primarily working with children and early intervention Marianne joined the Hesley Group in 2007 consulting for adults who engage in challenging behaviour using a positive behaviour support approach and joined Dimensions in 2010, initially providing clinical support for supported living services around the Country before leading the external autism behaviour consultancy EIBI service for children and managing a team of 7 ABA staff. Marianne is competent in delivering discrete-trial teaching, verbal behavior and functional behavior assessment forbehaviour that challenges. Marianne was a founding member of the #PBSchat group on social media that won a BILD special award for spreading understanding of ABA in 2014 and is a member of the steering group for ABAF and Focus Liverpool, providing clinical support for Focus Liverpool throughout 2015. Her interests include; driving up quality and competence in ‘positive behaviour support’, increasing communication skills in children with Autism and increasing access to early intervention for pre-school children with a diagnosis of Autism. Marianne has attended training courses in a variety of approaches including; PECS, TEACCH, TalkTools, Signalong, positive behavior support, ESDM, PRT & SCERTS. Marianne has supported many families through the statementing and SENDIST processes including attendance at tribunal. 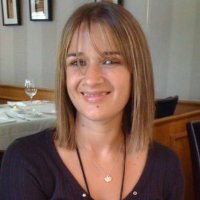 Marianne provides consultancy to families running ABA interventions in the UK and also provides consultation and training for schools, residential placements, individuals engaging in challenging behaviour and provides professional supervision to students gaining clinical experience to sit the Board Certified Behaviour Analyst (BCBA) exam. Marianne has set up private practice with Roots Autism Consultancy and is working with local supervisors to increase access to evidence-based intervention for children in the Midlands. Experimental Analysis of Behaviour Group UK Conference, London, April 2013. Experimental Analysis of Behaviour Group UK Conference, London, April 2015. Dovey T. M., Bond Wooldridge M., Martin, C. I., & Southall A. (2013). The importance of detailed assessment in tube weaning, lessons from a complex case. Infant, child & adolescent nutrition, 5 (5), 298-305. Behaviour Change in France: An example of the application of Applied Behaviour Analysis to improve quality of life for persons with autism and their families in Limousin. Guy Martell MSc ABA, Dr Sandy Toogood BCBA D, & Marianne Bond Wooldridge BCBA. Experimental Analysis of Behaviour Group UK Conference Poster Presentation, London, April 2013. Changing the perception of ABA in practice: Meeting the demand & achieving meaningful outcomes with limited resources. Marianne Bond Wooldridge, BCBA, Autism Behaviour Consultancy by Dimensions. Experimental Analysis of Behaviour Group UK Conference Poster Presentation, London, April 2015.